One thing I’ve learned about writing over the years is that there’s no “one right way” to do anything in our career. No matter how well any advice works for the advice-giver, our brains, processes, goals, priorities, obstacles, complications, and situations are all different. I’ve tried to keep that perspective in mind as I write blog posts, give feedback as an editor, and present workshops. That’s one reason I love having guest posters who can share other techniques or approaches for our writing career beyond the insights I can offer on my own. Sure, I already have posts about many topics on my blog, but my advice might not work for everyone. So the more perspectives and methods I can offer, the better for all of us. If you’ve struggled with writing a synopsis, query, or Amazon book description, or if the advice you’ve seen before didn’t make sense or resonate with your processes, I hope today’s guest post filling in for me during NaNoWriMo helps. 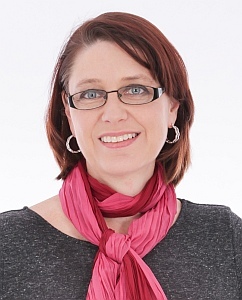 Romy Sommer is an author, editor, and writing coach, and she’s sharing her 10 step plan for writing synopses that can work for plotters, pantsers, or anyone in between. Even if we’re not planning on going down the traditional publishing path, we still might want to come up with a basic synopsis. Plotters often write synopses to keep them on track during drafting, and pantsers sometimes use them to make sure the story they wanted to tell—and think they told—is actually what made it on the page. Either way, Romy’s process can help us find the core of our story. I started my career as a Pantser, but that was mostly because I didn’t know a thing about story structure when I wrote my first (and second and third!) book. Over time I’ve become more of a Plotter, to the point that these days I even write a 3-5 page synopsis before I write a word of the book! I converted when I realized I’d thrown away tens of thousands of unusable words over the course of a few books, because I had a terrible tendency to wander off the main story path. While I now use this method of writing the synopsis before the book to keep me on track, this post isn’t about plotting, so the Pantsers reading this can relax. No matter whether you’re a Plotter or Pantser, at some point you’re going to need to write a synopsis, and if you’re anything like me, you probably hate writing the things (most writers do!). For me, the hardest part of writing a synopsis was knowing what to include and what to leave out. But when I started teaching narrative structure a few years ago, I discovered something amazing: by following ten simple steps, I could take all the agony out of synopsis writing. How Do We Know What to Include? No matter whether you write your synopsis before or after the novel, I can guarantee that this Ten Step Method will help you figure out what to include in your synopsis — and it’ll make the process a lot simpler and a lot less painful. Disclaimer: Since I don’t want to give away spoilers to my own books, I’ll be using two well known movies as examples: Star Wars Episode IV: A New Hope and The Proposal. If you haven’t yet seen either of these, consider this a giant Spoiler Alert! No matter what genre you write, you need to start your synopsis by introducing your main character and his/her goal, as well as his/her conflict. Another important element to include in this introduction is the character’s ‘wound’, the limiting belief or fear stemming from their past which is the main motivation for the conflict they’ll experience in this story. In a galaxy far, far away, orphan farm boy Luke looks up at the stars, dreaming of adventure and longing to leave his backward home planet of Tatooine to explore the galaxy. Luke is held back by a sense of duty to the uncle and aunt who raised him, as well as by his own fear. All his life, he has been warned of the dangers that lie out there in the stars; his father left to chase adventure, and died because of it. Margaret Tate is a high-powered, ball-breaking book editor, feared by her staff and loathed by everyone who meets her. Not that she cares. 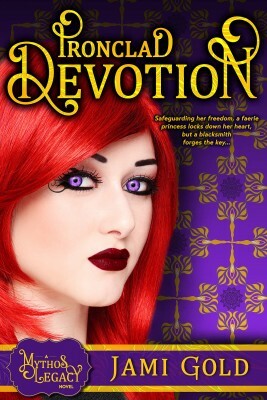 On her own since her parents died when she was sixteen, she protects herself from hurt by suppressing all emotion. If you have another main character, or a villain who is central to the story, then they should be introduced next. If you’re writing a Romance, this would be either your hero or heroine, whichever one you haven’t yet introduced. Margaret’s long-suffering assistant, Andrew Paxton, is only willing to put up with working for the woman known in the office as The Witch because she holds his chances of promotion in her hands, and with it his dreams of being a book editor himself one day. He’ll do anything to keep his job, even miss a trip home for his Gammy’s 90th birthday. What kick starts the action and conflict in this story? What tough decision does your main character face which changes his/her plans and moves the main character out of his/her comfort zone? If you follow the beat sheets of teachers like Blake Snyder or Michael Hauge, then the First Act of your novel might include moments like your hero’s Refusal of the Call, and the introduction of the mentor (as in the Star Wars example), but these are elements you could leave out in a shorter synopsis. When Luke stumbles across two droids, one of whom carries a holographic message for an ‘Obi-Wan Kenobi’, he takes the droids to Old Ben Kenobi, an eccentric loner who lives nearby. The message is a plea for help from Princess Leia, who has been captured by evil Imperial forces. Obi-Wan determines to deliver Leia’s stolen plans of the menacing Death Star to the rebel forces on the planet of Alderaan, but Luke refuses his invitation to join the quest. When Luke returns to the farm, however, he finds his family dead, killed by Imperial Stormtroopers on the trail of the droids. With nothing left to keep him on Tatooine, Luke sets off with Obi-Wan on his adventure. Margaret’s bosses call her in to tell her that her work visa has expired and she faces deportation and the loss of her job. In desperation, Margaret grabs Andrew and announces (to his horror) that they’re engaged. Andrew has second thoughts about helping his boss cheat immigration (Refusal of the Call), but is convinced when Margaret points out that he’ll lose his job too — and all the long hours he’s suffered working for her will have been wasted. Facing the pressure of an impending immigration investigation, he agrees not only to help Margaret, but to take her home to meet his family. Blake Snyder calls this next section of the book the ‘Fun and Games’ section. It’s where you show the progress your main character makes as a result of that major decision you mentioned in the previous paragraph. If you’re writing a longer synopsis (3-5 pages) you could also introduce your B-story / sub-plot here, but if your target editor/agent only wants 2 pages or less, then skip it. In the seedy port of Mos Eisley, they charter a ride with the Millennium Falcon, a space ship owned by scoundrel smuggler Han Solo and his co-pilot Chewbacca. Dodging Stormtroopers and imperial fighters, they make a narrow escape from Tatooine. While flying through space at lightspeed, Luke begins to learn from Obi-Wan about the magical Force used by Jedi knights, as well as how to use the light saber that belonged to his father, who was once a Jedi and a pupil of Obi-Wan. Margaret and Andrew arrive in Sitka, Alaska, where Margaret discovers a new side to her assistant. In Alaska, she’s the outsider while Andrew holds all the power. At his welcome home party, Andrew is goaded by his cynical father into announcing their engagement — which leads to everyone calling for them to kiss. There’s a whole lot more fun and games: they have to share a bedroom, and Margaret loses her phone to an eagle when she saves Gammy’s little dog from the bird. And then her soon-to-be mother-in-law and Gammy throw her a bachelorette party, complete with the local exotic dancer. What are the B-plots of these movies? Han Solo’s story, his cynicism and ‘what’s in it for me?’ attitude, as well as the love story with Princess Leia, would be considered B-story. In The Proposal, the sub plots include Andrew’s ex-girlfriend and Ramone the Alaskan stripper. Depending on the length of the synopsis, these could be either left out completely, or be mentioned briefly to add a little extra depth to the story. For me, creating a highlight at the midpoint of the book helps prevent Saggy Middle Syndrome, that part of the book where we authors often get bored with our stories, and wish we could dash off after that bright shiny new idea. These 10 steps by @romy_s can help us write a synopsis... Click To TweetMichael Hauge calls this the Point of No Return moment, when your main character has now changed and grown so much that they can never go back to being the person they were before. Blake Snyder and Christopher Vogler place the character’s first major ordeal here, the moment when the Bad Guys start to close in. Personally, I love Blake Snyder’s suggestion that this moment should either be a Hollow Victory or a False Defeat. When the Millennium Falcon drops out of hyperspace, they discover that Alderaan has been destroyed by the Death Star. Their ship is captured by a tractor beam, but using trickery they sneak onto the Death Star to rescue Princess Leia. Late at night, Margaret and Andrew get to know one another. As they share their secrets, and open up to one another, they cross the point of no return: understanding one another as they now do, their boss/assistant relationship is changed forever. Could things get any worse for our heroes? Of course they can! In the next couple of paragraphs, you’re going to list the complications your character now faces which prevents him/her from reaching their goal — with a few more fun and games thrown in. Blake Snyder calls this section of the book ‘Bad Guys close in’. Our band of heroes evades Stormtroopers (Complication #1), are nearly crushed to death in a trash compactor (Complication #2), and have to battle yet more Stormtroopers and a bridgeless void to get back to the Falcon (Complication #3). Along the way, Han Solo and Leia indulge in some verbal sparring. Since Star Wars is an action adventure, the character arcs are a little crucial, but if you’re writing a Romance or YA, or any other genre where the story is more character driven than plot driven, it’s essential that you include the emotional impact of these obstacles in your synopsis — because this is where you’re going to impress the editor / agent you’re pitching to with your carefully developed character arcs. This rising action is building to the climax, with each complication worse than the one before. These ‘bad guys’ could be external (the Stormtroopers) or the characters’ own internal emotions. How many setbacks your characters experience will be determined by the length of your book. If you need to shorten your synopsis, then you only need mention the most important of these setbacks, the ones that have the greatest emotional impact on your characters and leave them most vulnerable. Your main character now experiences a major setback, causing him/her to retreat to a safe place, not just physically but emotionally (what Michael Hauge refers to as retreating into their ‘identity’). But our characters have come too far to turn back now! This is the mirror moment to the midpoint, so if you had a Hollow Victory earlier, then this would be a False Defeat for your character, or vice versa. Obi-Wan disables the tractor beam holding the Millennium Falcon captive, but then is confronted by Darth Vader, the terrifying Dark Lord who is second in command only to the Emperor himself. Luke watches his mentor sacrifice himself to Darth Vader’s lightsaber before he escapes with the others in the Millennium Falcon. At the wedding, Margaret confesses the truth of their marriage to the assembled guests. For her, all is lost as she willingly sacrifices her chance at citizenship and her job to ensure Andrew’s happiness. She has made herself vulnerable and opened herself up to emotions, has started to care for someone other than herself, and as a result has transformed as a person. She can never go back to being the heartless person she was before. This scene, which many story teachers call ‘the dark night of the soul’ is crucial, not just in your book, but in your synopsis too, no matter how short the actual moment in your book might be. This is the moment in which our characters need to dig deep within themselves to find the strength and courage to carry on. In A New Hope, this is a very brief moment amidst all the action. On board the Falcon, Luke grieves for Obi-Wan, but with fighters on their tail he doesn’t have time to wallow. He has to carry on fighting on his own, without his mentor. Andrew chases after Margaret, but he is too late. She has gone, leaving him only a note. Reading the note, he realizes that Margaret cares for him — and that he loves her too. Even though going after her places them both at risk with immigration, he chooses courage over fear to chase after what he wants. Yay, it’s the Grand Finale! Inspired by their new-found courage, our characters make one last ditch effort to achieve their goals. Since going back to who they were before is no longer an option, they go into this final confrontation with the bad guys (or the love interest in a Romance) knowing they have nothing left to lose. Why do they win this time, when they haven’t before? Because this time they’ve embraced their essence. Rather than allowing themselves to be ruled by fear, they make one last all or nothing attempt to get what they want. Supported by the rebel fighters, and with time running out, Luke makes a last ditch attempt to destroy the Death Star. Just when it seems they’ve lost, Luke finally learns the lessons taught to him by Obi-Wan and trusts in The Force to help him achieve his target. And he does: the Death Star is destroyed. Supported by his family, Andrew hurries to catch Margaret at the airport, but misses her plane. 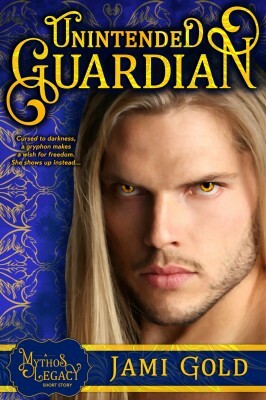 Before he can chase after her, he must first confront his own internal demons in the guise of his father. Having stood up for what he wants, in a way he never has before, he now chases Margaret all the way back to New York where, in front of the entire office staff, he proposes to her — for real, this time. This is the scene that rewards your characters for being brave enough to transform from the fake identity they were living at the beginning of the story, to the new and improved person they’ve become. It’s also the reward for your reader, for having stuck with you all the way to the bitter end. There’s also lovely symmetry if this final image mirrors the beginning, as it does in The Proposal, where the story both begins and ends in the publishing office. Having (temporarily) defeated the forces of evil, our heroes are celebrated in a grand ceremony, in which Princess Leia presents the victors with medals. In a series of immigration interviews, we see Margaret and Andrew starting their new life together, as equal partners rather than boss and employee. Now that you’ve got the story down, all that’s left to do is go back and fine-tune the wording, and ensure that a little of your own voice shines through, and voila! Your dreaded synopsis is done! As a child, Romy dreamed of one day living inside one of the fairy tales in her head. As a 2016 finalist for the Romance Writers of America® RITA Award for her novel Not a Fairy Tale, and Chairperson of ROSA (Romance writers Organization of South Africa), all of Romy’s dreams have come true. 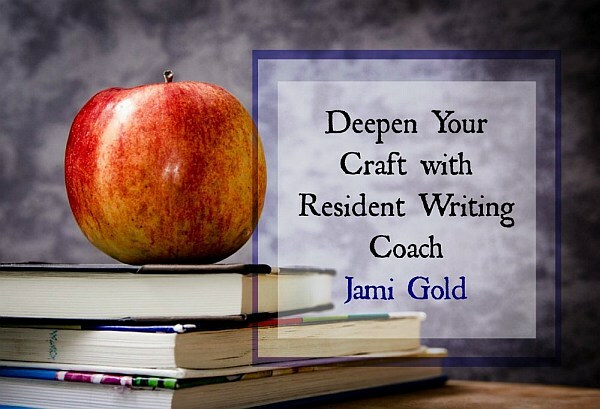 She is not only a multi-published author, but as a writing coach and teacher, she now helps make other writers’ dreams come true too. Though Romy’s heart lies in Europe, she doesn’t cope well with the cold, so she lives in sunny South Africa, in the City of Gold, Johannesburg, where she is mom to two little princesses and a pet dragon (okay, he’s a bearded dragon, but that still counts!). She writes contemporary fairy tale romances and short 1920s historicals. She loves Hallmark movies, Country music, travel, and losing herself in stories. 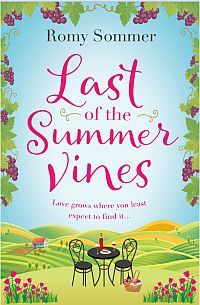 When ambitious workaholic Sarah Wells discovers she has inherited her estranged father’s vineyard near Montalcino in Tuscany, the last thing she wants is to take time away from her busy schedule to sort out a crumbling mess of a palazzo. But, of course, life never runs smoothly, and when she makes a rare error her boss decides a holiday is just what she needs. When Sarah arrives in Italy, she learns that she is not her father’s sole heir. In fact, she only has a partial stake in Castel Sant’Angelo because of a loophole in Italian law. 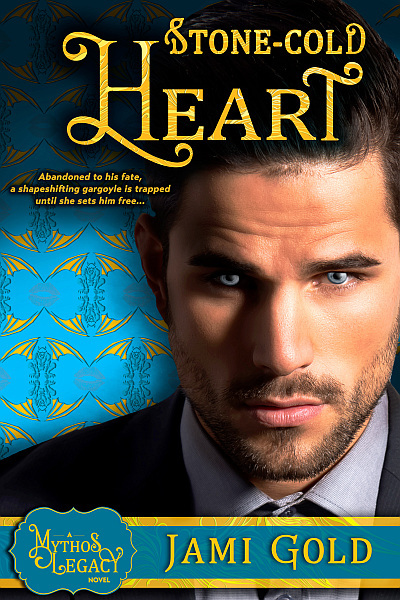 Her father has left the vineyard instead to his business partner, the gorgeous but infuriating Tommaso Di Biasi — and Tommaso doesn’t want to sell. Thank you, Romy! 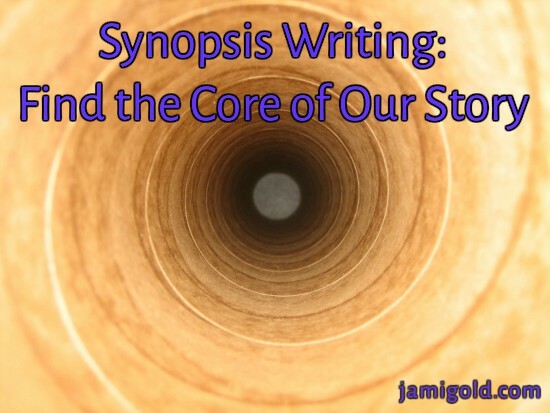 I have a post with my insights into synopsis writing, but as I said in the introduction, I know that we often have to hear advice several times and from several perspectives before we really grasp concepts, so I’m thrilled we get to add your method as a resource here. *grin* Your tips are perfect, especially with the great examples! As Romy said, often when we’re writing synopses, the hardest part is figuring out what to include or what not to include, and the same problem can crop up with our book descriptions. So this process might help us identify the core elements of our story, whether we need to describe our book for synopses/queries or for self-publishing on Amazon. P.S. If you’re not familiar with all of the story structure, beats, or Michael Hauge insights Romy mentions in her post, be sure to check my many posts here, as well as the beat sheets I offer. Have you tried to write a synopsis before? Have you run into the issue of not knowing what to include in summaries of your story? 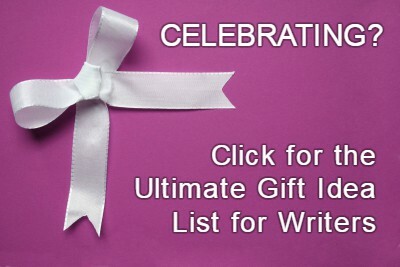 Do you think writing a synopsis can help self-publishing authors too, and if so, how? Do you have any advice or insights about synopsis writing to add here? Do you have any questions for Romy? Can a Story Still Be Compelling with a “Quiet” Black Moment? I just wanted to say, I seldom comment on your blog posts but your blog is one of the few whose content I’m always glad and excited to read. I’m suscribed to your newsletter so I get them at my mail. I come here and pin your articles right away. 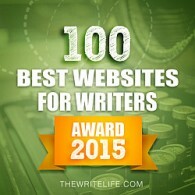 Your pieces of advice on the writing craft and business greatly help me. THANK YOU! Hallo Aurora, und vielen Dank. Ich habe auch hier auf Jami’s Blog viel gelernt und ich bin so froh das ich Heute hier kann teilen was ich gelernt habe. Beste Wünsche für Ihr eigenes Schreiben. Thanks for a very helpful post. I love the examples. Thanks, Rosi, and I’m so pleased the post was helpful to you.